He stated that in response to his own writing, that includes “lightly sketched case histories”—e.g., Listening to Prozac—readers would write him and express that they had recognized themselves and in turn, that would help them to have hope, and to not feel alone. “But vignettes can do more than illustrate and reassure. They convey what doctors see and hear, and those reports can set a research agenda” (¶ 6). What I appreciate about this article is the message that we need both. We need good evidence-based research that will help guide the clinician. Sure. However, if this is based on fear of error, perhaps we need to rethink. If we are waiting for proof to guide choice, I’m afraid we’ll be waiting for Godot. Absolute proof is reductionist. It is looking at the world from a one-dimensional perspective, like a façade. We need our stories. We need each other’s stories. Thank God for qualitative research. What has made Brené Brown so accessible and helpful, for example, is her research using grounded theory. Stories, my friends, stories. We are not alone. Someone who knew deeply about the power of the poetic was Rollo May. In The Cry for Myth, May refers to the need for our stories, or myths, as a part of human nature, both personally and socio-culturally. “Whereas empirical language refers to objective facts, myth refers to the quintessence of human experience, the meaning and significance of human life” (May, 1991). He goes on to list four headings that outline the many contributions of myths to our lives. “First, myths give us our sense of personal identity…Second, myths make possible our sense of community…Third, myths undergird our moral values…Fourth, mythology is our way of dealing with the inscrutable mystery of creation” (May, 1991). Stories honor the multi-dimensions of one’s life. They honor the vulnerable parts of the self, and as such the authenticity of a life. They address the who of a life, not simply the why. From that place of understanding, we are more equipped to move forward; we are free. Let’s take the film Breakfast at Tiffany’s, for example. There are numerous examples in film that could be used, but since I just watched this favorite again, it comes to mind. (And if there’s anyone out there who hasn’t seen this wonderful film, spoiler alert!) 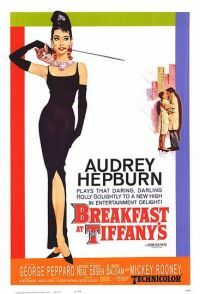 We see the main character, Holly Golightly, embracing a spontaneous, do-as-she-pleases, party-girl lifestyle. From the very beginning, when she meets Paul, she portrays a colorful, eccentric, and free-spirited behavior that, not knowing her story, may come across as having narcissistic personality disorder. There, she’s pegged. Her “symptoms” become the end of her story. However, we find out later that this is simply one dimension, a façade in some ways. She has reinvented herself for reasons that are much deeper and complex, stemming from her history, including trauma. Now, she is trying to find a life that is far from where she came from and her story, even abandoning her birth name and accent. As her agent says, “She’s a phony, but she’s a real phony.” She is also attempting to find stability on her terms, not anyone else’s—she will not be caged in by any one. The paradox becomes clear, and Paul points this out at the end of the film, that she is actually being caged by her own reinvention. She is destined to stay one-dimensional unless she embraces all of her story. When she does, and truly allows herself to be vulnerable, she opens to a new way of being and creating meaning. At this point, her true freedom begins. I’m preaching to the choir, no doubt, but when an article like Kramer’s pops up in The New York Times, I have a glimpse of hope, like he seemed to have when he read the following in this month’s New England Journal of Medicine: “Data are important, of course, but numbers sometimes imply an order to what is happening that can be misleading. Stories are better at capturing a different type of ‘big picture.’” (¶ 14) That one’s for you, Rollo.